Home / PrestaShop Modules / Customers / Support & Online Chat / Zoho Live chat. Support. Analytics and Visitor scoring. This awesome module add Live chat to connect with real time visitors. And allows to monitor site traffic and analyse visitor's on site activities. Real time live chat module for website visitor tracking on your site. Online live chat enables you to monitor site traffic and analyse visitor's on site activities. Visitors navigate your site to extract relevant information. 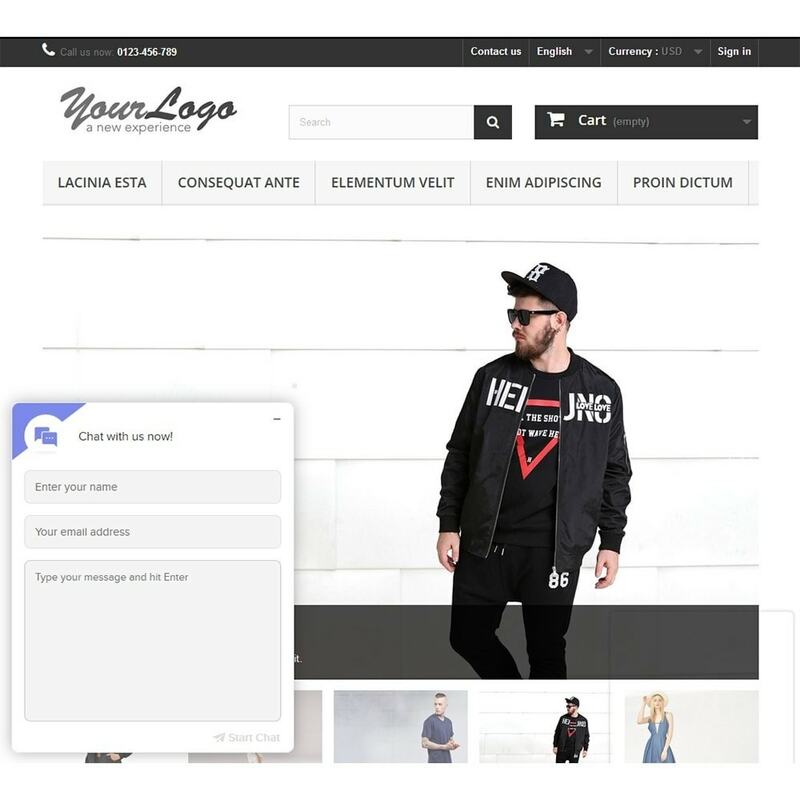 This module Zoho Live chat identify customers location in your site and initiate conversation with them based on automated triggers generated by you. Magnify visitor's engagement with real time traffic monitoring. Locate prospects & customers in your site, analyse through which source they have entered your site and find what pages they are looking at. 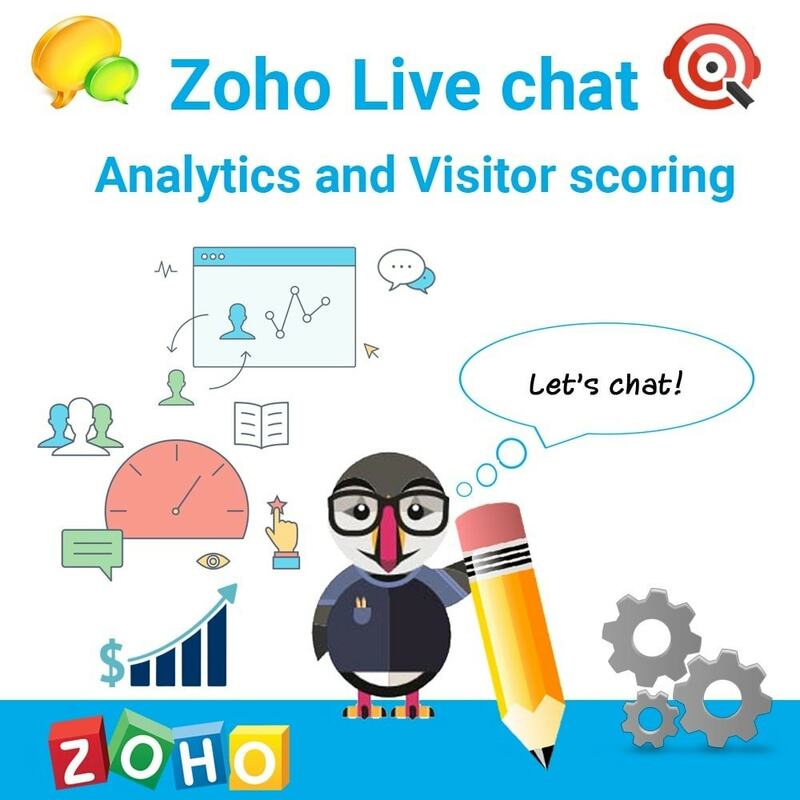 Use these insights to engage visitors in real time with Zoho Live chat. Induce visitors through targeted messages. Improve website visitor tracking by constructing a successful navigation plan for your site. 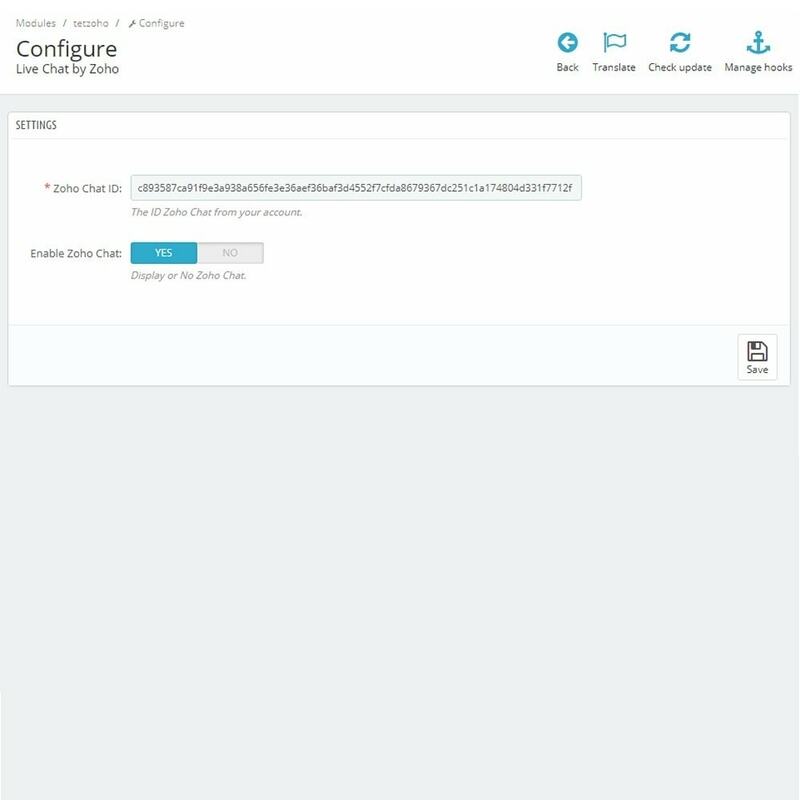 Create triggers and alerts by applying rules for automated messages when customer are stuck at certain pages.With live customer support chat send targeted messages at conversion points which helps you not to miss out on any prospects. You improve what you measure. Robust feedback mechanism enables visitors to grade your conversations. Observe, learn and step your game up with Zoho Live chat. 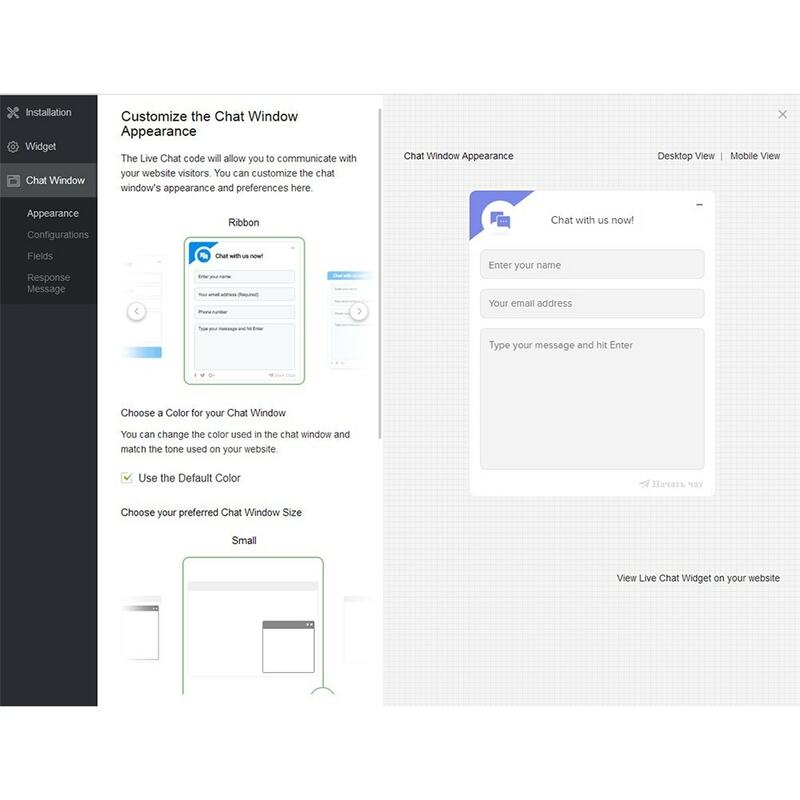 Customize Zoho Live chat to match your store design. 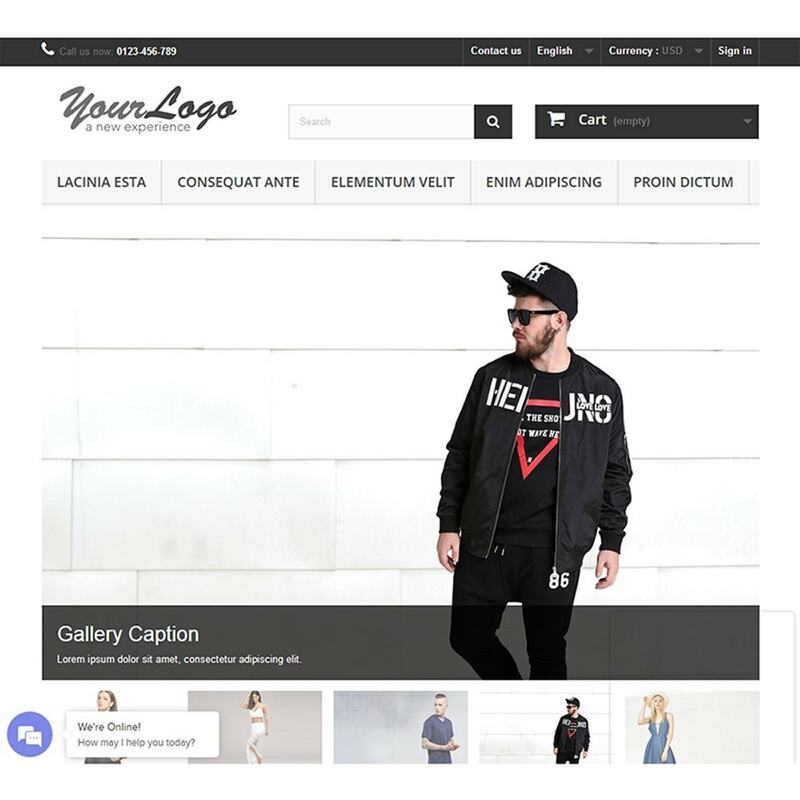 Zoho Live chat can be custom-build to align with your website's branding. Redesign our chat widget by personalizing your theme, welcome message, company logo and add an agent's head-shot. Bring your knowledge base and resources to your chat window. Your can make FAQs and other general information available directly to visitors, thus reducing incoming chats on the same topics. 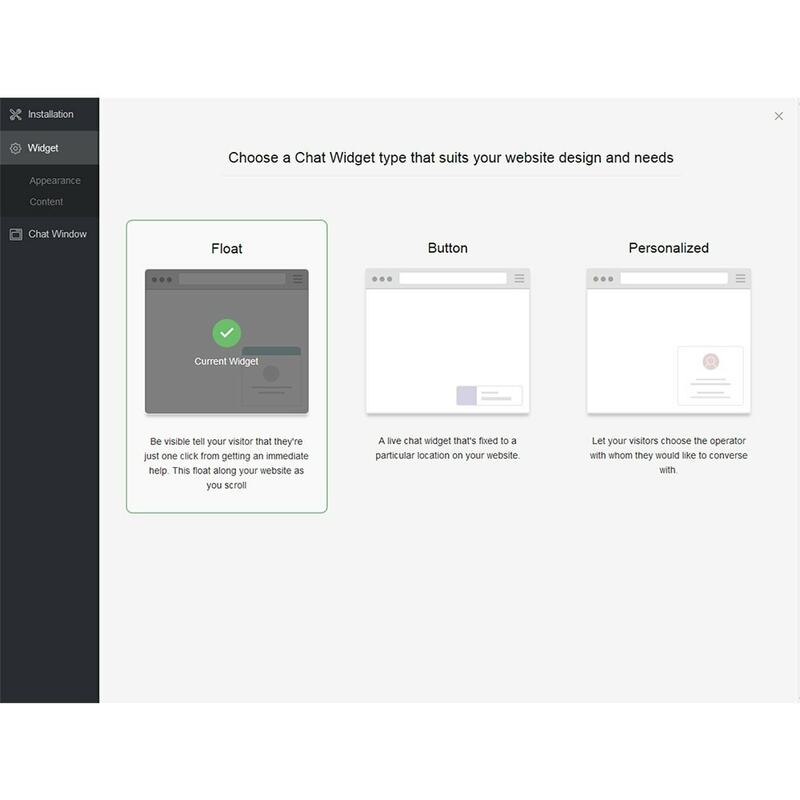 This module adds the button to open WhatsApp Chat at bottom right or left on your site. Provide real-time support via LiveChat based on WhatsApp. Zoho Live chat. Support. Analytics and Visitor scoring. Zoho Live chat for PrestaShop. Make yourself available to your customers throughout their shopping journey and pave the path for an enjoyable experience. Engage with your customers to earn their trust and build your brand's credibility. Assist your customers through the purchase, address their questions and problems immediately and guide them to checkout. Monitor and understand your customers' behavior to improve your PrestaShop online store and service. Provide instant, seamless customer support 24/7 from anywhere you are! Reassure new customers about your brand. Ninety percent of new customers to a website say they are often skeptical about security when purchasing for the first time. Nearly 50% of customers have abandoned a purchase for reasons relating to security. Interacting with a real person before making a purchase eases their concerns. Live chat agents can guide customers through the purchase and address questions about security. Optimized for mobile ecommerce sites. Mobile traffic accounts for more visits to your site than any other source, a whopping 52%. In spite of mobile having maximum traffic, it only contributes to 29% of online sales. Zoho Live chat works seamlessly across mobile, tablet and desktop versions of your PrestaShop store. Reduce cart abandonment with timely intervention. Globally, e-tailers lose $3 trillion USD in sales every year from abandoned carts. Almost 68% of consumers abandon their shopping carts after adding one or more products. Some of the reasons cited for cart abandonment include complicated website navigation and concerns about payment security. Losing customers this way can be avoided if support agents pitch in to help out on the checkout page using ecommerce live chat support. Give your customers a reason to come back to you. Customer experience is as important as the product itself. A convenient shopping experience with live assistance from support teams not only facilitates purchases but also builds customer loyalty. 63% of customers are more likely to return to a website that offers livechat and 62% are likely to purchase again from such a website. Catch your customers' attention with highly targeted chats. Have conversations that are relevant to your customers by tracking the pages they have visited, the page they're on and the time they have spent on the site using Zoho Live chat platform. Provide your guidance on the product they are looking at. Customers are more receptive to chats that address their immediate queries and issues. Gather data on customer behavior. Knowing how customers use your website is key to improving their experience with it. Zoho Live chat for PrestaShop lets you track visitors' footprints which is useful to identify webpages with high and low engagement rates. Get useful information about visitor activity to find out what's working—or what isn't. With this module, users get best customer service and response time. With Zoho Live Chat, visitors to your store will be able to chat directly with you through the widget. Customers can chat with Merchants from any device using our mobile optimized chat widget.